When you hear “agile project management team,” you probably think of young people smiling while they fill up a wall with colored sticky notes. They use words like sprint and user story instead of phase and work package. There aren’t any Gantt charts or bar diagrams, either. Instead, the sticky notes are being formed into Kanban and Scrum boards. Why do agile teams prefer to work with this way? 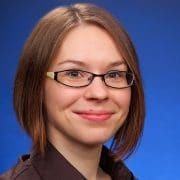 How do they use these methods to the advantage of their projects? In this entry, I’ll answer these questions and more. When working with boards, you always have columns for keeping track of the state of current tasks. 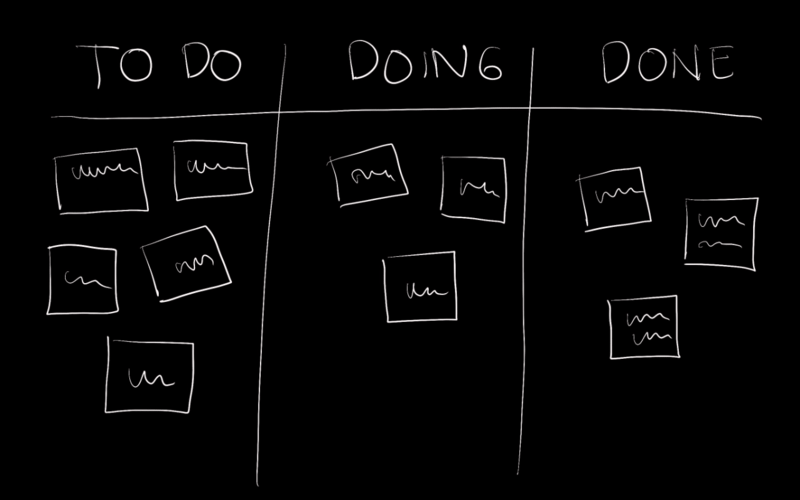 A minimal Kanban board might have columns for to do, doing, and done. In the course of the project, tasks are moved along to board from left to right. This gives you an overview of progress. You can easily identify bottlenecks and the focus is kept on executing current tasks. Humans process visual information easily and the system can be quickly learned. Exactly how you work with the boards depends on which method you’re using. With a Kanban board, work is in a constant flow. Kanban boards are often used as a means to plan the entire project. New tasks are added as necessary and team members deal with them according to their capacities. By limiting the number of tasks per column (so-called work in progress limits or WIP), the correct work tempo can be assured. If you work with Scrum boards, you have a defined number of tasks on the board which have to be executed within a given sprint. 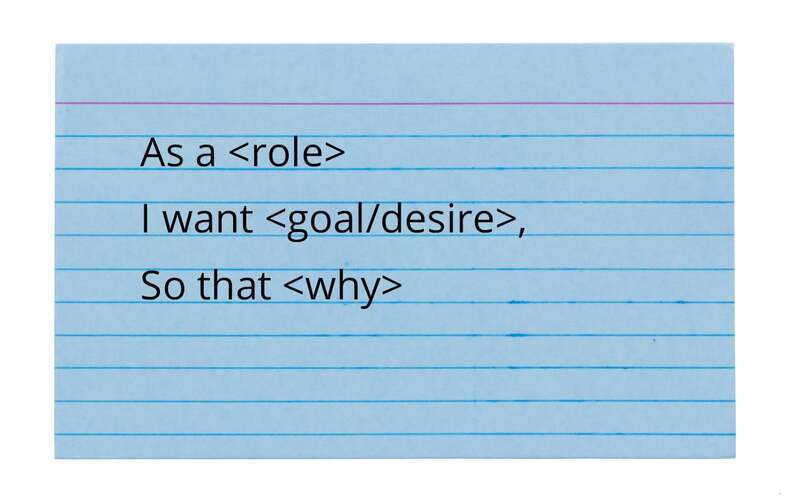 There are often lines for user stories which are broken down into tasks. These tasks are then moved across the board. In both methods you determine according to your workflow which states are represented on the board. The workflow represented by your board is determined by department. 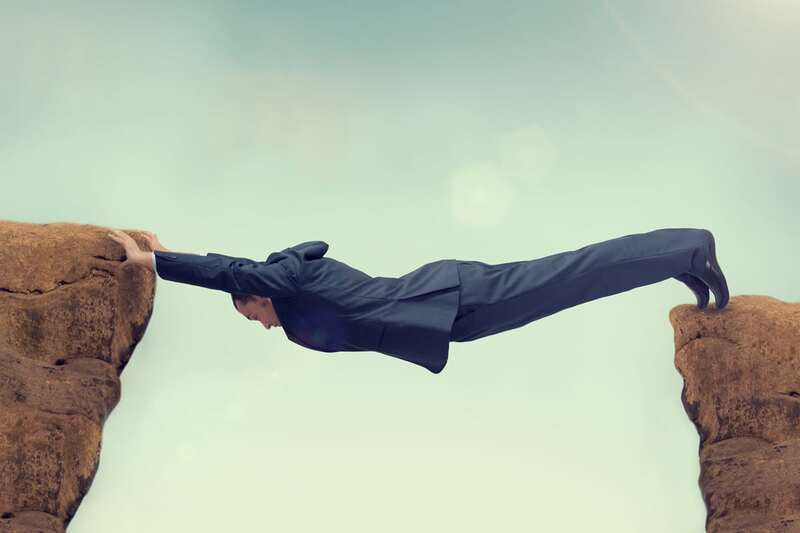 Development needs different states for tasks than support or content marketing. You can represent any workflows you need on a board. One disadvantage to working with a real wall or whiteboard is that you’ll need more and more space depending on the number of tasks in the workflows. Also, sticky notes have a brief lifespan and you can’t see where they came from (why was this task added?) Large projects which depend on the traceability of requirements and years later may need to prove when and why something was done will run up against the limits of real Kanban and Scrum boards. Not to mention that some team members might work at other physical locations. In that case, you’ll need a tool that offers virtual boards. Virtual boards make it possible to represent large workflows with more than ten states in a user-friendly and digestible format. Instead of from left to right, tasks can be moved from top to bottom. This way, you can easily scroll through tasks to see all the states and move tasks around. If some states aren’t of immediate relevance, you can hide them with the click of a button. You can get the most out of virtual boards by using a software tool that integrates user stories and tasks in one place for the entire project. 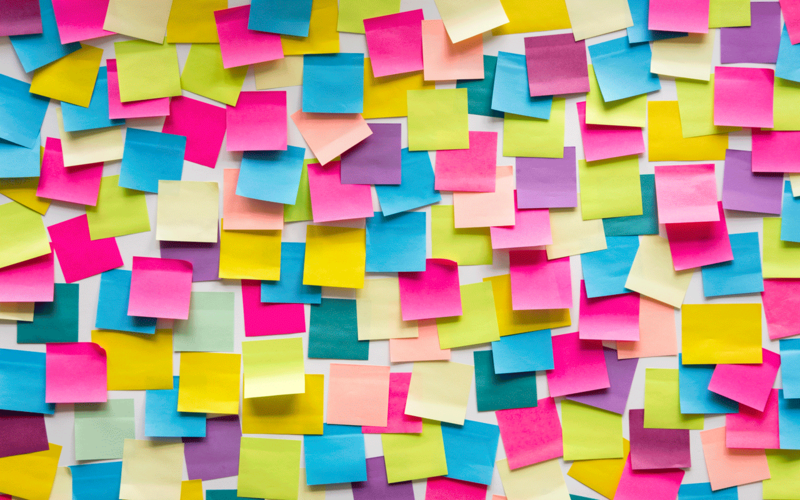 With a good tool, tasks become much more than just “sticky notes” that move from one side to the other. Here they possess histories, dependencies, related test cases and risks. You can effortlessly create analyses such as burn up and burn down charts, assign workers, and automatically calculate costs using this information. And every team member is always kept up to date, regardless of his or her location. Classical aids such as Gantt diagrams can be combined with agile boards. The development team is then free to use Kanban or Scrum boards, while project managers can keep an overview of the entire project with a bar diagram. Our application lifecycle management solution objectiF RPM supports just this kind of hybrid project management. Classical planning methods can be combined with user story boards in order to handle tasks in sprints. You can take a look at one of the user story boards in our example projects to get an idea for yourself how it works. You can explore the example projects by downloading a free trial edition with full functionality. 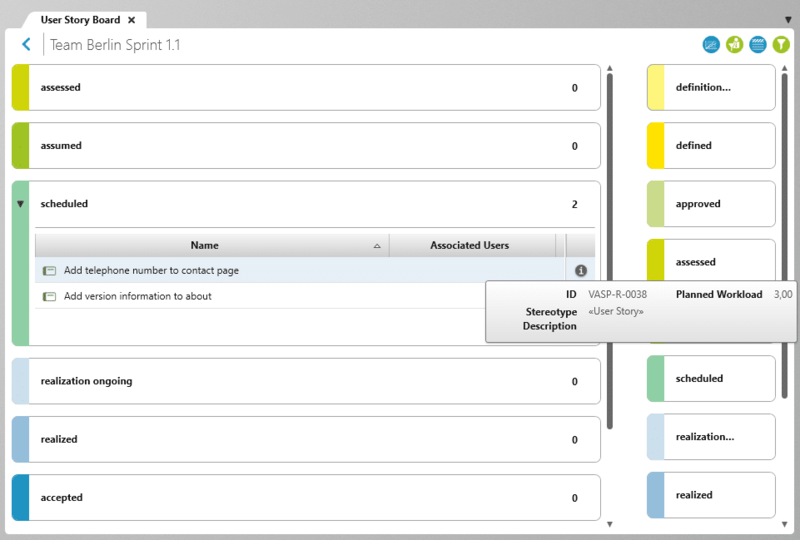 You’ll discover further advantages, such as being able to open a burn up chart directly from a user story board. You can also choose to display the stories that you’ve assigned to yourself to work on. 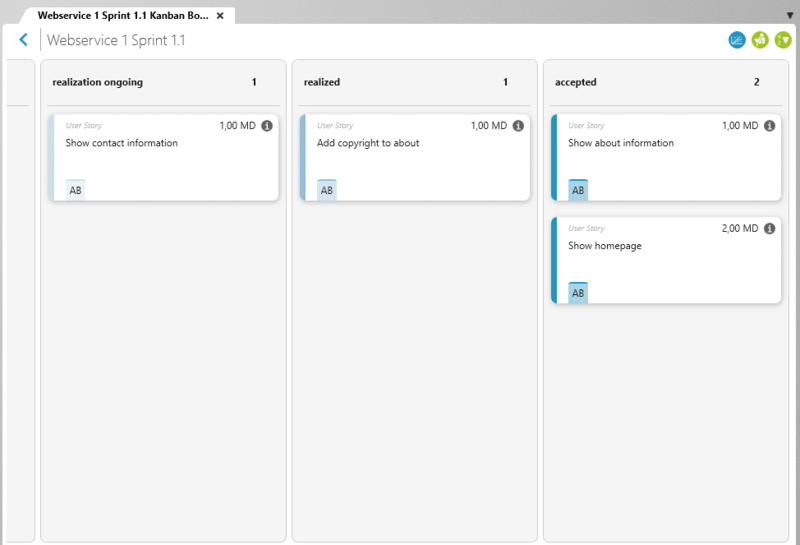 The latest version also supports the traditional order of columns from left to right, like normal Kanban boards. Here you can move stories from left to right. Write us and let us know what you think of the latest user story boards. We’d love to hear from you! Lisa May is a part of our marketing team. She is interested in making new, interesting or curious knowledge entertaining and easy to understand. As a professional technical writer and translator, she can not only write in German, she can also reach our English-speaking readers.